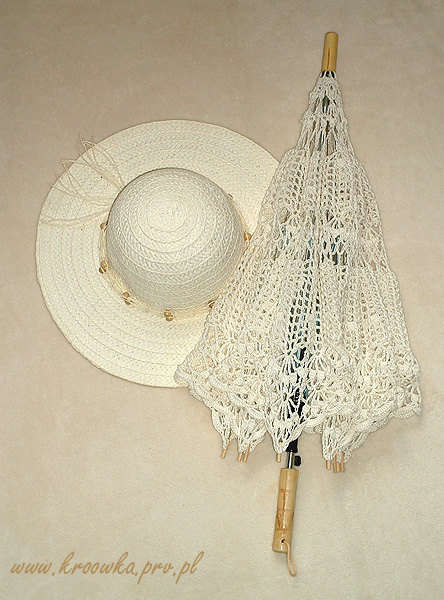 Umbrella, parasol, sunshade … whatever you call it, it looks better in crochet! 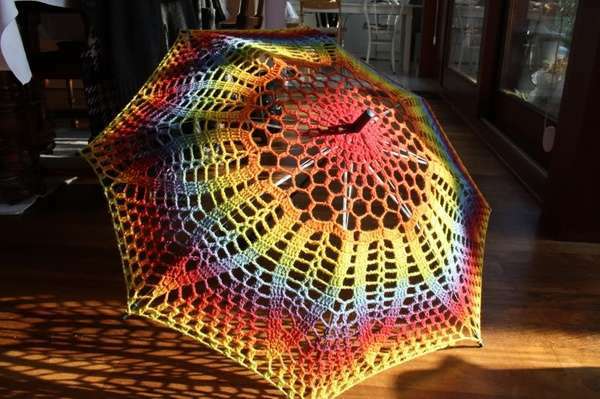 These crochet umbrellas might not protect you from the rain but they are the perfect creative project for a rainy day! 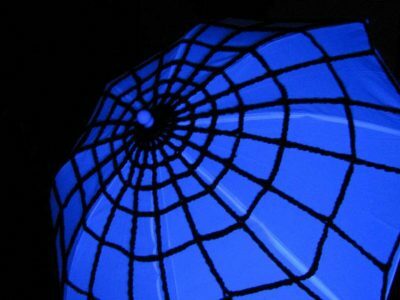 They also work as shade from the sun, a cute addition to a costume or just decoration for the home. 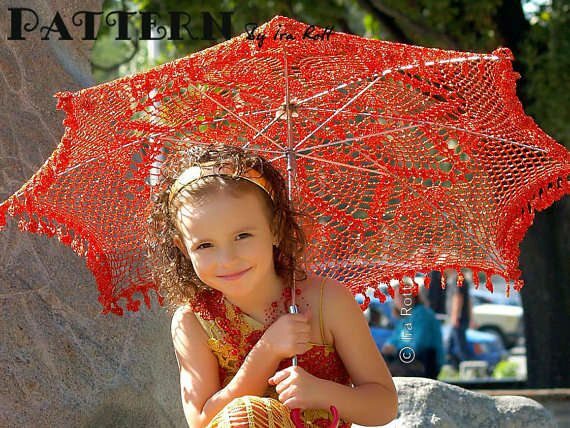 Ira Rott sells the crochet pattern for this pretty red parasol. Seeking a sexier red umbrella? Check out this one or this one. 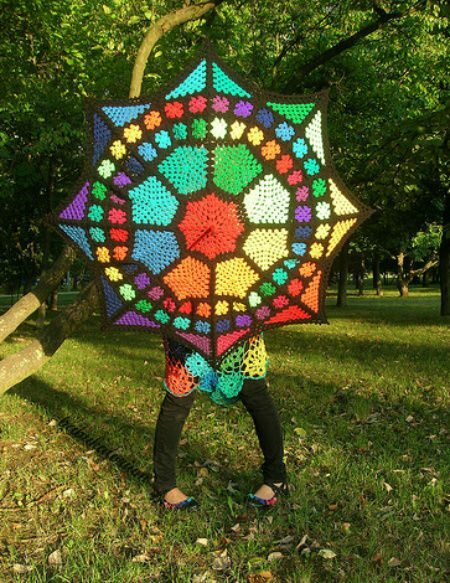 Babukatorium‘s signature rainbow colors here are edged with thick black lines that make this crochet umbrella look like beautiful stained glass! 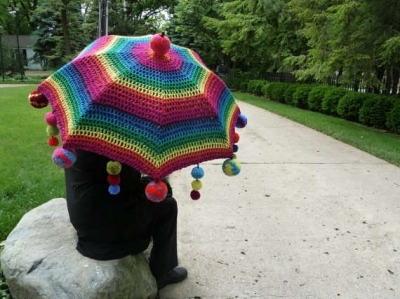 She has several other beautiful crochet umbrellas, too, which you can check out on Flickr. One of my very favorite crochet umbrellas is this one, which was featured previously in my roundup of crochet wedding accessories. 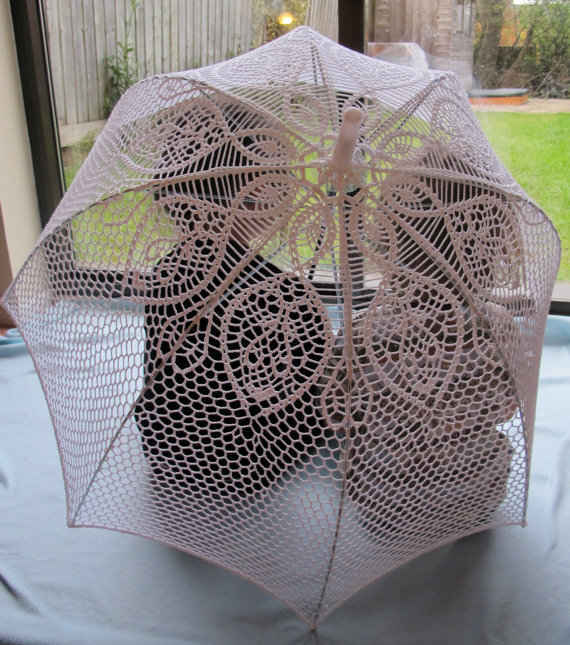 We’ve also seen this umbrella before, in my roundup of upcycled doily ideas. I spotted this one on Pinterest. 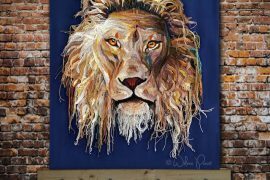 I couldn’t find the original source although one link said it was from Craftster. 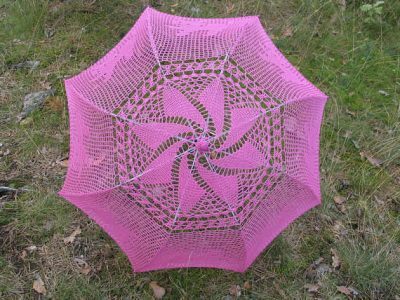 PixieWorx, also known as Aberrant Crochet, has a pattern for making a giant crochet spiderweb that can be added to a plain old umbrella. 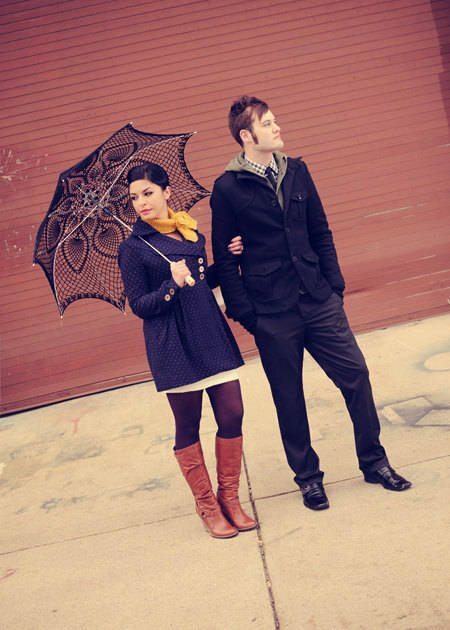 Etsy’s kolus79 sells crochet umbrellas for all ages in all colors. I like this classy black one. 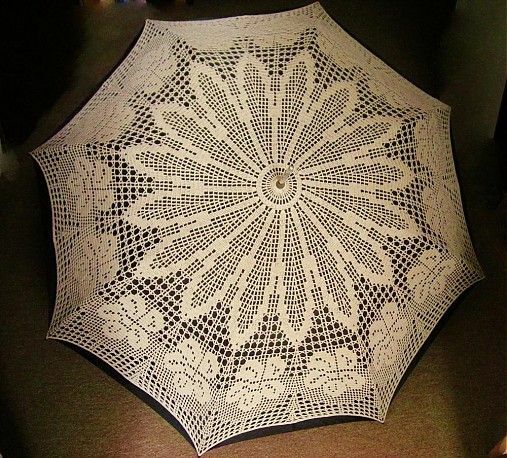 This filet crochet umbrella was spotted on a Slovak blog. Etsy’s 2ndlookvintage sells the vintage crochet pattern for this retro crochet umbrella and matching swimsuit. Etsy’s danabaldwin says this art umbrella is inspired by Frida Kahlo. It’s embellished with pompoms for some extra pop. I love the sophisticated classiness of this grey crochet umbrella sold on Etsy by solva. 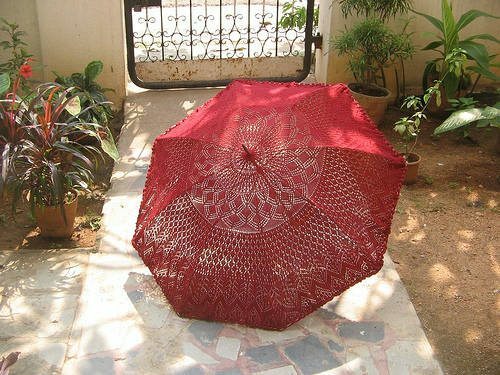 This ecru-colored crochet umbrella sold by Etsy’s kroowka looks just as good when it’s closed up as it does when it’s open. 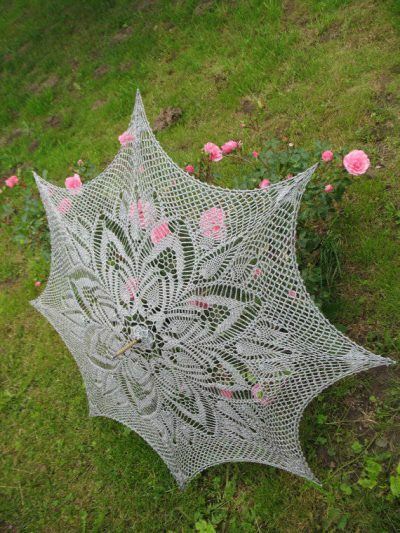 I love the central pinwheel design on this crochet umbrella sold by Etsy’s Kejla. 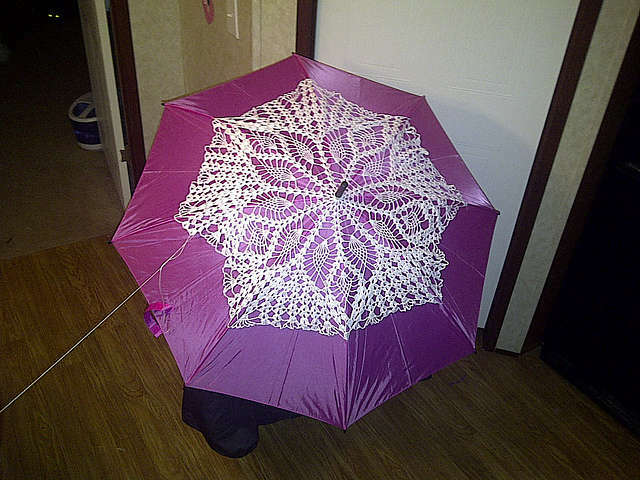 Here’s another crochet umbrella that would work for a bride, a flower girl or just as part of the wedding decor. It’s from Etsy’s Apiifolia. 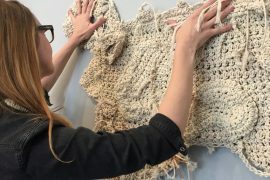 Where Is She Now explains how to take an old crochet tablecloth, attach it to an umbrella frame and get a work of art. 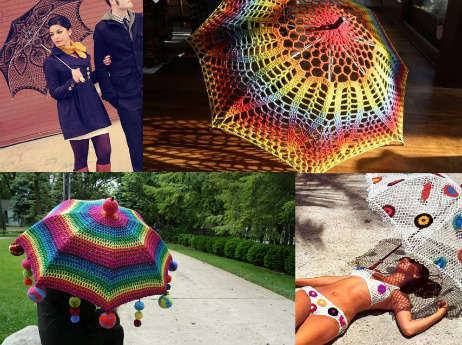 Where could you use a crochet umbrella? Just found this! Thanks for the shout out Kathryn! Where do you get your umbrella frames? 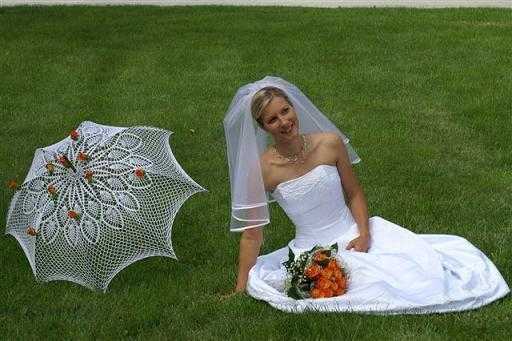 Hi I am writing an article about the use of crochet umbrella’s in weddings could you tell me when crochet umbrella’s became popular (in weddings) and how popular the making of crochet umbrella’s is? I hope you have the answers for me! EliseMooijman That’s a great question!! I actually don’t have any info on the history of crochet umbrellas. I do know that they aren’t among the most popular items to crochet. The first time I did the roundup it was hard to find patterns or even examples of crochet umbrellas but this time was easier so maybe they’re seeing a comeback. I’ll let you know if I find out anything else and I’d love to know more about your article!! I think umbrellas was most popular in the Victorian times. just my thought . Do you know where to find rib tips/caps for vintage umbrella/ parasol frames? The frame I have is complete except for the tips and I can’t find them anywhere online. Thanks for any help you can give me. Oh that’s a good question. I would have assumed someone on Etsy would have them but I’ve never looked for them myself. Lindos, where I can buy?